When it comes to the opioid crisis, one of the more disturbing facts is how many of those individuals who are addicted started out merely by taking painkillers prescribed by their physician. 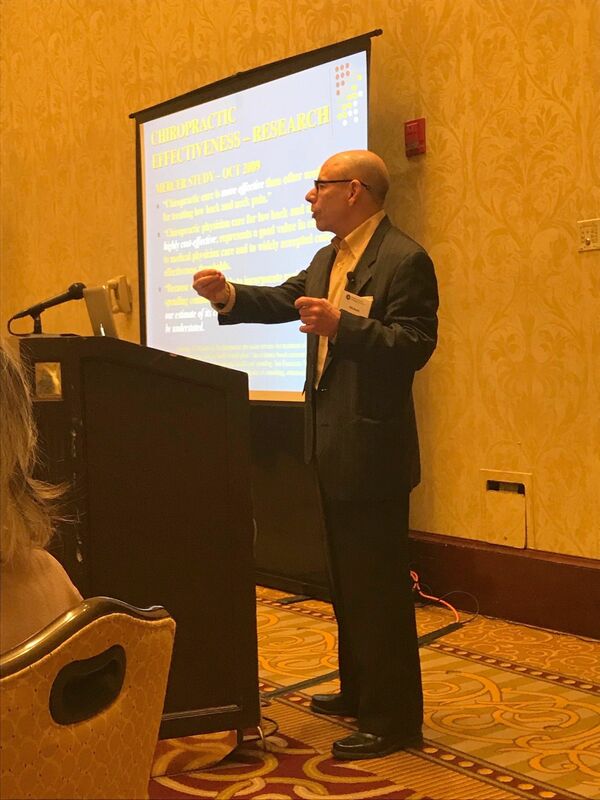 Finding alternatives to opioids was the theme of a continuing education session held by the Rhode Island Medical Society on March 24 at the Crowne Plaza Hotel in Warwick, RI. Three chiropractors from the Chiropractic Society of Rhode Island, one of the oldest chiropractic associations in the United States, presented on chiropractic as a viable alternative to prescription painkillers. Dr. Dwyer is the principal and primary practitioner at Tollgate Chiropractic in Warwick and Wakefield, RI. His fellow presenters included past CSRI President Dr. Michael Gottfried of Aquidneck Chiropractic in Middletown, RI and CSRI member Dr.Angela Ciresi of East Greenwich. “In addition to preventing addiction, chiropractic has also been effective for some patients who were addicted to painkillers but were able to wean themselves off that medication through regular spinal adjustments, massage and exercise therapy,” said Dr. Gottfried. According to the American Society of Addiction Medicine, of the 21.5 million Americans age 12 or older who had a substance use disorder in 2014, 1.9 million had a substance abuse disorder involving prescription pain relievers. In fact in that same year, at least half of all U.S. opioid overdose deaths involved a prescribed opioid. In 2014, more than 14,000 people died from overdoses involving these drugs, with the most commonly overdosed opioids -- Methadone, Oxycodone (such as OxyContin®), and Hydrocodone (such as Vicodin®). In addition to partnering with doctors from a number of alternative specialties as well as primary care physicians, CSRI started a grassroots movement that includes the distribution of information to patients and other interested parties. The Society has also set up a speaker’s bureau where chiropractors will speak to local businesses and civic groups on chiropractic as an alternative to prescription pain killers.